Ok....not really.....but let's pretend shall we :) Hope everyone had a great weekend! I spent most of mine cleaning and trying to remember to breathe, and dealing with a migraine and upset tum tum.....stress will do that to ya every time!! I'd like to say things are better now but the jury is still out on that one....I will say I am a lot more clearheaded and feel able to tackle the problem head on now. So bring it baby!!! Yup! Once again they are are super dooper sponsors for the week! 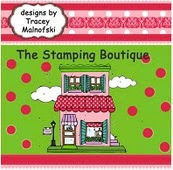 A few girls on the team used images from The Stamping Boutique on their projects. 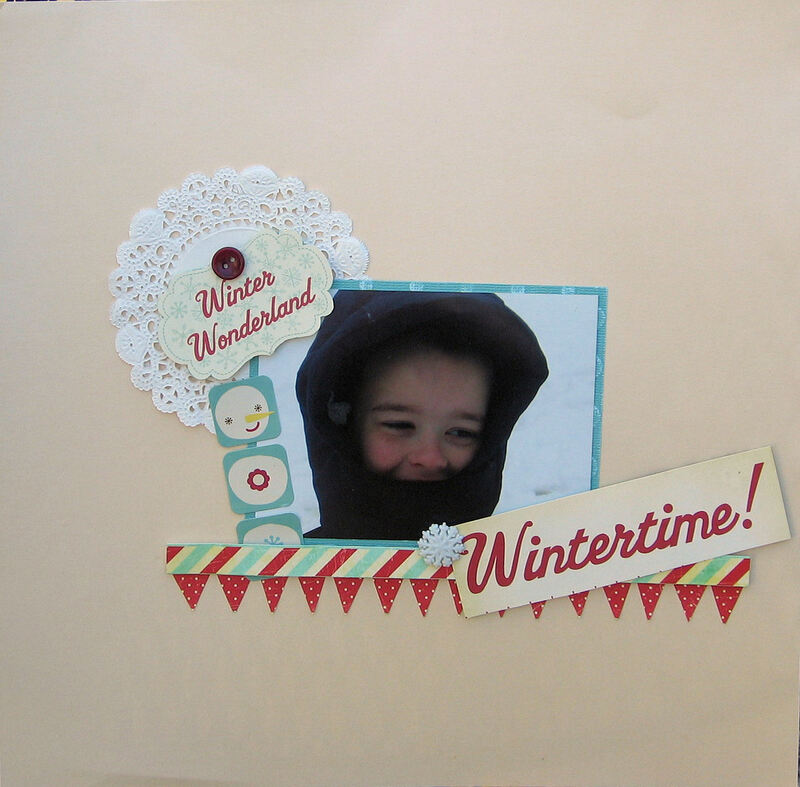 They are some really cute winter images....just in case you are lazy like me and haven't even started on your Christmas cards. So our song this week is a Christmas classic that pretty much every one and their brother has done a version of. It's an unwritten law someplace I believe. And with the temps here being in the 60's it is extremely hard for me to get in that "wintery, wonderlandy' place right now.......so I dug back in my photo stash and pulled this photo of Jesse from last year all bundled up. We DID have snow on the day this photo was taken....that would be the white stuff in the background of the photo......lol......but any measurable snow is kinda rare for this part of Tn......The mountains get it all.....stupid mountains!!!! 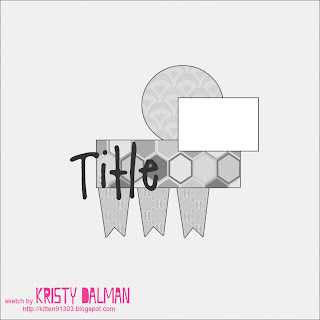 I tried really hard to rock the white space.......lol. White space and I have issues. I was determined to do a white pace page so once I was done I hurried and photgraphed it and put it away. I even had dreams that night about pulling it out and adding stitching around it....which would be adorable....but I know how I am...I'd then see a thing here and there that it needed and before ya know it.....no more white space!!! LOL. I really admire those that do them and do them WELL!!! Some of you may recognize this sketch too......it was up for a Design Dollies sketch challenge a bit back that I never got around to. I tell ya, so many challenges....soooooo little time!!!!! 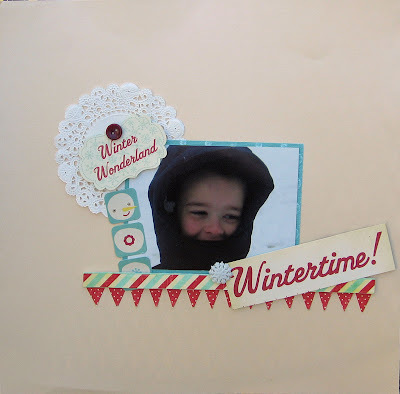 Be sure to link your creations up so we can all see your versions of Winter Wonderlands!!!! Glad your feeling more on top of things and ready for the battle! So many challenges, so little time is right! Fun layout! Sorry I missed your previous post...I'm here for you. Stay strong my friend. Sweet layout! Love the paper choices! I love how simple this layout is. It's beautiful. Love it! !